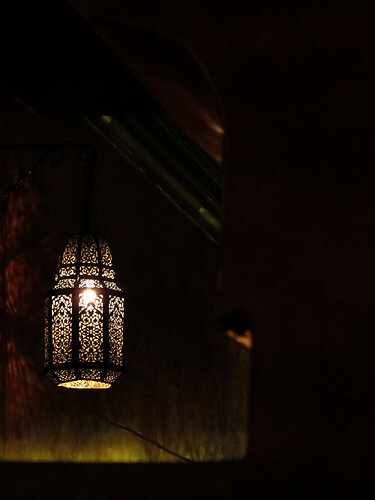 There are two Moroccan restaurants in Dublin city centre – perhaps the whole of Dublin, or Ireland even? – and since we had a farewell party in mind, we went to Dada on South William St. I’ve been to El Bahia on Wicklow St once a few years back and it just wasn’t too spacious. Our group was initially meant for 12, then 14 plus a baby, add another, minus another (sort of). And the baby was a real angel all through the evening. We started with a selection of appetisers to share, which included grilled merguez (I <3 merguez) among the 6-7 items on the plate. For my main, I chose the lamb tagine which was generous in portion and I couldn't quite finished. With a bit resting time, I was then ready again for dessert, when which we were served a selection of sweet pastries and ice cream, complemented with Moroccan mint tea. A big massive thank you to all my friends who made it out for the evening for my going-away do (and the lovely presents). It does make it so hard to imagine leaving them in mere few days from now.